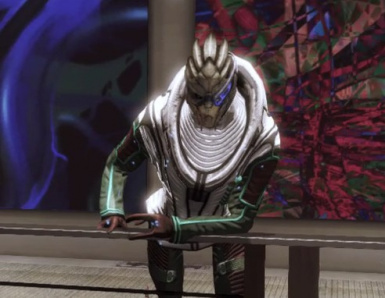 From what I've gathered, this mod allows Garrus to be in casual clothes in various places. Also, I've noticed you included textures. What I'm wondering is if the textures (specifically the romance outfit which I believe is casual outfit 1) are in HR? If they are, is there a way to extract the textures so I can install just those? 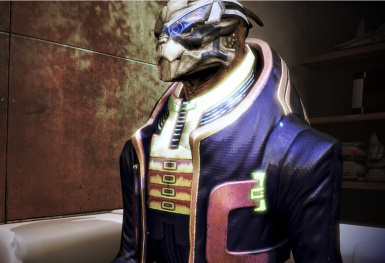 There are literally no other Garrus casual outfit mods that I can find. Hey there! 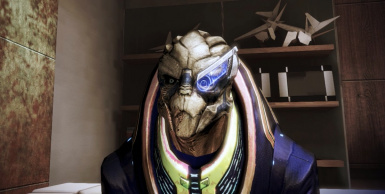 This mod works great on the Normandy but I just started the Citadel DLC and Garrus is sticking out like a sore thumb in his armor. Anything that may have caused this in particular? I'm also using Citadel Redone...well, some of Citadel Redone. That wouldn't have an effect on him, though, right? 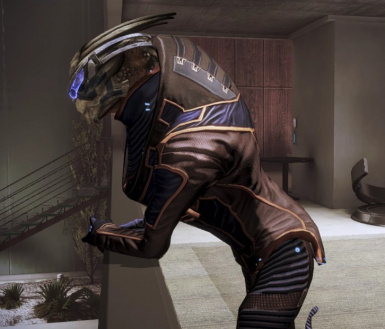 There's no Garrus pcc files in that mod. Thank you so much for this. 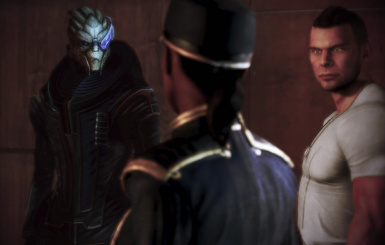 I did a playthrough that put everyone in casual wear for the citadel expansion but overlooked Garrus somehow, so he ended up being the only one not out of armor (Javik doesn't count. 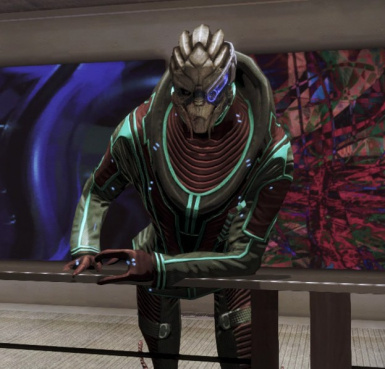 In his cycle, armor *was* casual wear). This fixes that issue nicely. I am glad it was useful and helpful to You. Tank you for this unexpected gift. I would like to report a small problem that I do not know if someone else has found. 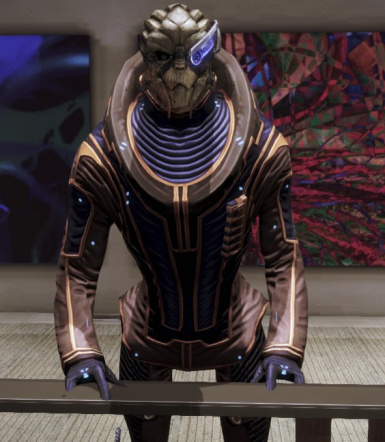 For some strange reason when I applied the blue version of the casual outfit I see Garrus entirely black, without texture, and I do not understand why. If it happened to someone else and solved the problem could you kindly help me? That blackness happens when the new textures are not found by the program, lets say, due to there is a different DLC mod what overrides this one. 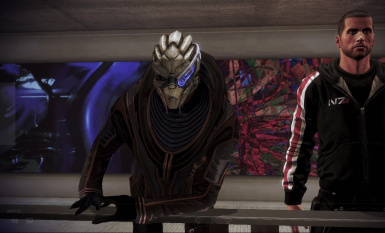 There is a file (CustTextures0.tfc) created by ME3Explorer for custom textures then moved into a dlc mod and renamed... therefore there is an incompatibility issue going on due to something like this. It's not so easy to tell without more information what the problem might be. Thanks so much for the unexpected but appreciated update, mate!! 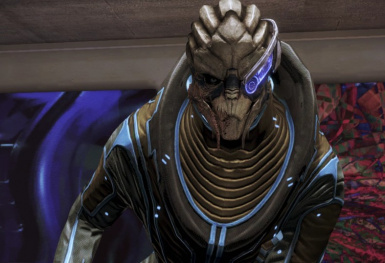 Can't get enough of Garrus lol. Your welcome. I’ve just figured out how to go around the Spec image Alpha Channel incompatibility. In Photoshop just had to use the original spec and copy the diff over and so it works. what you might liked with the Formal wear one I reckon, or just us a differnt tint image. Good luck and thanks again mate. Hey CluckDip, Photoshop is not that complicated to use for some of these mods. Actually the images are just customised, altered, no not much creation is going on. Of course some of the really good ones are original in many ways... Once Ottemis gave me information, but the rest comes from experience If you decide to give it a go, just send me a PM and I'll explain what I can. Cheers ruby. I do like fiddling around in Photoshop and in some aspects I am getting quite better, I just don't find myself really making any mods personally since I don't actually have any ideas. Thanks for the thought though, appreciate it! 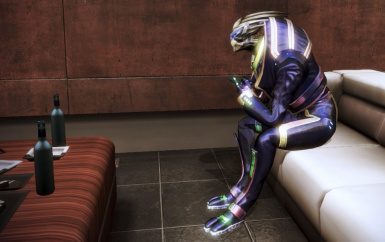 Maybe someday I'll finally contribute something to the Mass Effect modding scene lol. lol you called the dlc file "Mount"
Thanks! Exactly what I planned to do! DLC version is only for english localization. How can Install it fore another localization? I assume You create a DLC engine in Mod Manager and paste the .pcc file into that. Tools/Mod Development/Generate a Custom DLC Starter Kit. if that's okay with you... Good luck. I've just updated this mod. Very easy to install. I hope this will work just fine for you. Isn't this part of EGM? Or did the idea come from EGM? I've never used EGM actually so I would not know what's there. Have fun. Hi, I love the idea of this mod but I'm having trouble getting it installed. 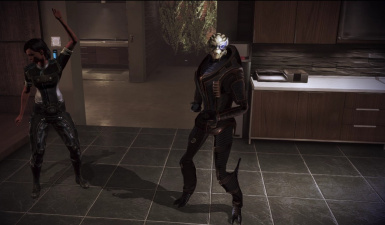 When I put it into the DLC folder and load the game, I get a message saying that the mod is corrupt and cannot be loaded, and when I load my save Garrus is still wearing his regular armour. Do you know a fix to this? Thanks! Ohhh... Have you replaced the binkw23.dll & binkw32.dll files in Binaries/Win32 folder? These .dll files necessary fmxor all MODs to run, without the corruption error. 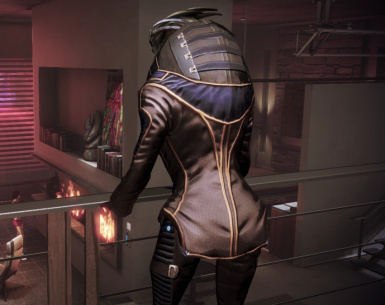 You can download them from ME3Nexus. Otherwise I'm not sure why, because they work as far as I know. 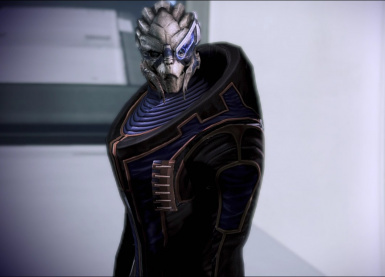 in a way that you delete all .pcc files and move the Garrus' one into that new one, along with the .tfc file as well. Let me know if these did not resoved it. Take the DLC_MOD_GRC folder out of the DLC_MOD_GRC_v2 folder and put it into the DLC folder. There is a PCConsoleTOC.bin in the DLC_MOD_GRC_v2 which makes it auto toc fine but it won't work and will say corrupt. Thanx Mate for explaining it. You are correct. Thanks a lot again.